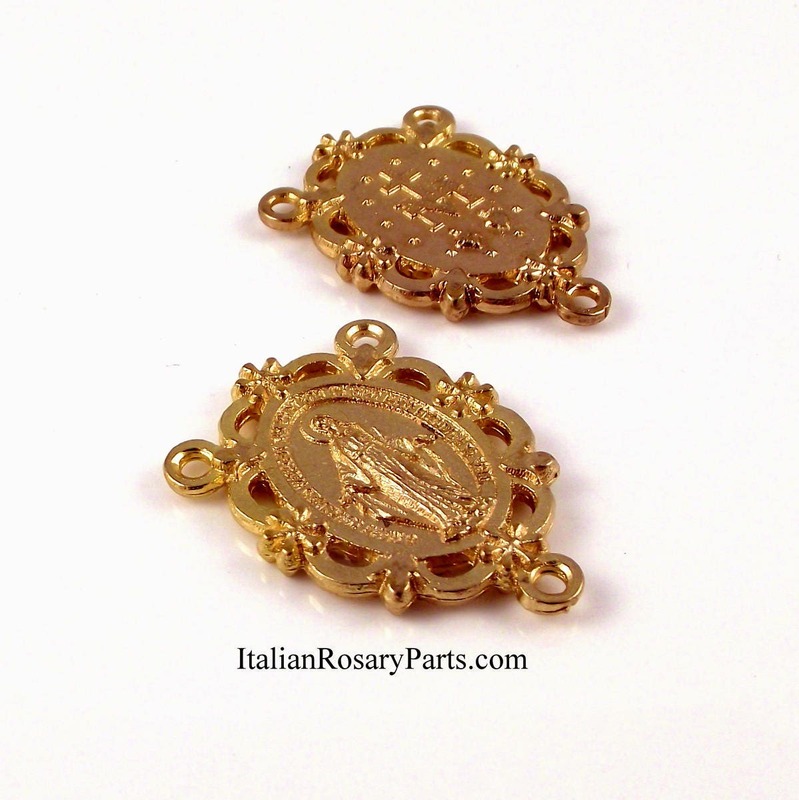 A beautifully detailed rosary center. The Miraculous Medal has been set in a frame of flowers. The back shows the cross, Marian insignia, plus the Sacred and Immaculate Hearts. Nice and sturdy. Measures 1-1/4" high by just over 3/4" wide. Gold-tone metal. Made in Italy.